Havoc and I got a call that month from Charlene Thomas, who worked in the product-management department at Loud Records. 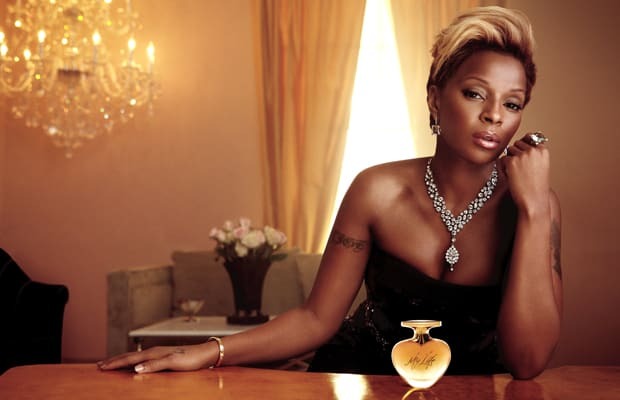 Mary J. Blige had contacted Charlene requesting that Mobb Deep be featured on one of her new songs, “Deep Inside.” At the recording session in Manhattan, Mary was sitting in a lounge chair with her legs hanging over the armrest, lighting a slender cigar, wearing big sunglasses. She looked good, like a female pimp. She hopped out of the chair and greeted us with hugs and kisses. The beat sounded hot, so I grabbed a seat, a pen and pad, and Mary told the engineer to play the song so we could hear her lyrics. I finished my verse in about twenty minutes. Havoc laid his next and we were done real fast. A month or two later, Charlene from Loud called again. “What’s up, today is Mary J.’s birthday and she wants to take you guys out to dinner with her,” Charlene said. “Just you and Havoc. She’s sending a car to pick you up around six p.m., okay?” Hell yeah it was okay! I got fresh, met up with Hav, and we hopped in the S500 Benz that she sent. We stopped to buy Mary birthday flowers before the car dropped us off in front of an exclusive Chinese restaurant in Midtown Manhattan. We figured it would be a dinner party with a bunch of her friends and family, but when we walked inside the spot, we saw Mary and one of her girlfriends seated at a table for four. We gave Mary her flowers, said happy birthday, and sat down. “Where’s everybody at?” I asked. “It’s just us,” Mary said. “I wanted to take ya’ll out to eat and thank you guys for working with me. You know Mobb Deep is my favorite rap group.” Havoc sat next to Mary’s friend, a good-looking light-skinned female, and I sat next to Mary. Mary asked me what kind of drinks I liked. I told her I was drinking whatever she was drinking. “You ever had a cosmo?” she asked. “A’ight, cool,” I said. Mary ordered a round of cosmos, pink and chilled in large martini glasses. Mary ordered another round. The first one gave me a crazy buzz because I hadn’t been drinking, but how could I refuse drinks with Mary J. Blige on her birthday? I ain’t drinking no more after tonight, I promised myself. This is a special occasion. The next round of cosmos came out with our main course. Mary was feeling the drinks and started getting comfortable, asking me questions. “You got a lady?” she asked. “You married?” Mary was flirting and giving me all kinds of signs, but I didn’t realize it until I looked in her eyes and saw she was dead serious. I got real shy and nervous, stuck like a deer in headlights. Man, this was Mary J. Blige! My mouth wanted to say no, but my brain forced my mouth to give an honest answer. “How long have you been together?” she asked. “That’s good, that’s what I’m looking for in my life,” Mary said. “I need somebody to be serious with.” Mary was cool as hell, beautiful, and very down-to-earth. I felt like a fool for not pursuing her but I was really in love with my woman. Havoc hooked up with Mary’s girlfriend that night and I went home to KiKi.